HISTORY: Little did Bill Daniels, Dayton’s Original Pizza Factory’s owner, know when he started working in college for a national pizza chain that the pizza business ran in the family. His Grandmother (Nonna) Concetta Triviloni Ali, an immigrant from Rome, Italy had operated a pizzeria north of the old Dayton airport on Dixie Highway in 1957. 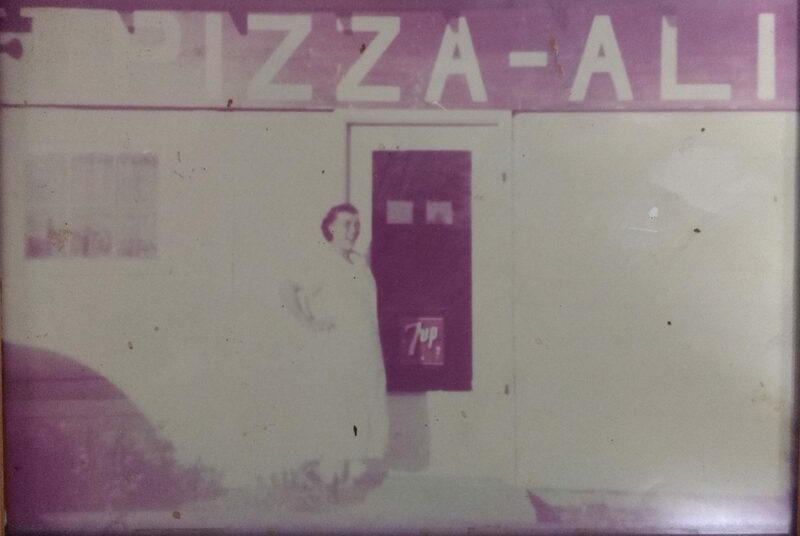 Nonna’s roots grew when Bill Daniels and Glen Brailey opened Dayton’s Original Pizza Factory (DOPF) on Salem Ave in northwest Dayton on August 22, 1986. Glen left to follow his own dream and went on to revolutionize Dayton’s Oregon District with “Pacchia”, his fine dining creation in the 1990s, and he currently operates “Spinoza’s” , another very successful creation in Beavercreek’s Fairfield Mall. Dayton’s Original Pizza Factory moved to Dayton’s South Park Historic District at 1101 Wayne Ave. in 1996 and has been operating there ever since. The business added a dine-in restaurant two blocks away in 2006 called the South Park Tavern and enjoyed introducing it’s neighbors and many Daytonians to the craft beer wave of the mid-late aughts decade. The South Park Tavern was sold in 2017, but Dayton’s Original Pizza Factory continues to offer craft beer, cider, and wine available for delivery along with our tasty pizzas, grinder subs, and fresh salads. 2018: Dayton’s Original Pizza Factory finished in the top ten, placing eight out of 40, at the 2018 Mid America Restaurant Expo Pizza Pizzaz in the “Best Pizza in the Midwest” contest while competing against pizzerias from across the US and Puerto Rico. In past years DOPF has placed in the top 5 twice in this contest, and has been awarded 1st place and the Grand Prize at the Sofo Foods Pizza Expo in Toledo, OH. DOPF hopes you have enjoyed the delicious pizza and superb service we’ve offered for the past 31 years, and hope you will give us a try if you haven’t yet. We make our own fresh dough and let it slowly rise for at least a day to fully develop its flavor, cut much of our own fresh vegetables, and blend our own pizza sauce for a fresh taste you will enjoy. We also offer real 100% whole wheat dough, over 40 toppings and unique sauce choices, and some amazing specialty pizzas along with excellent traditional pizzas that everyone loves. The great thing about our work is we get to make people happy all day long and we take that to heart. Thanks for doing us the honor of letting us the serve you and your family and friends.